Major Martin Manhoff spent more than two years in the Soviet Union in the early 1950s. 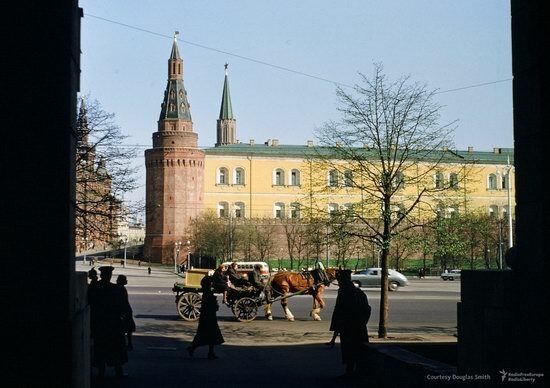 He worked as an assistant to the military attache in the U.S. Embassy, ​​located near Red Square. 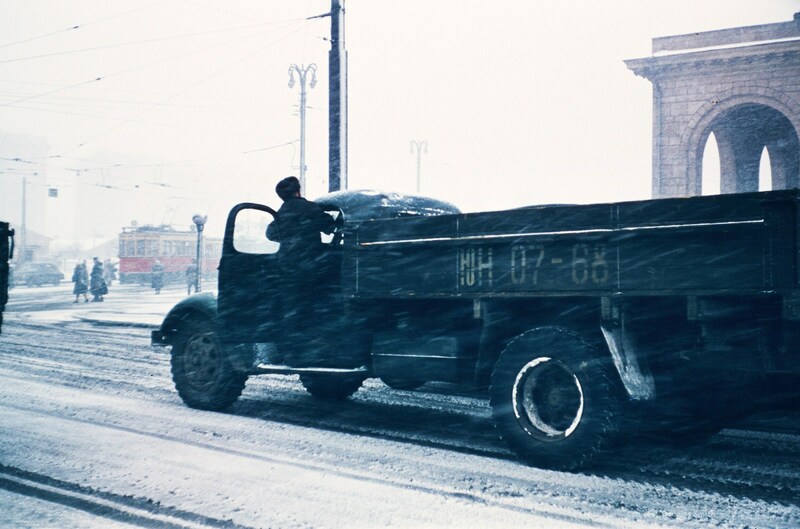 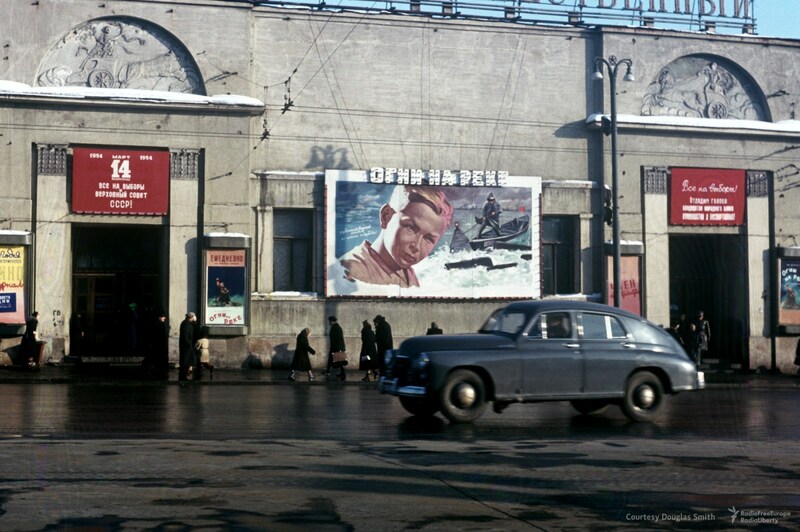 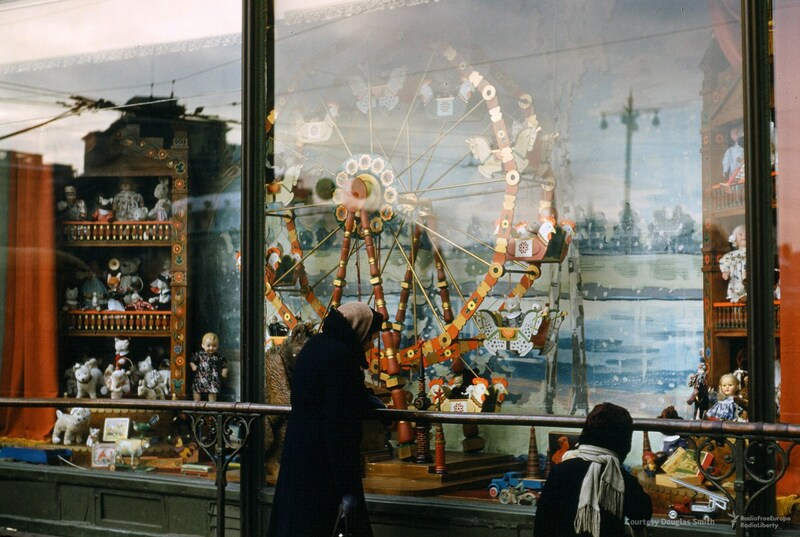 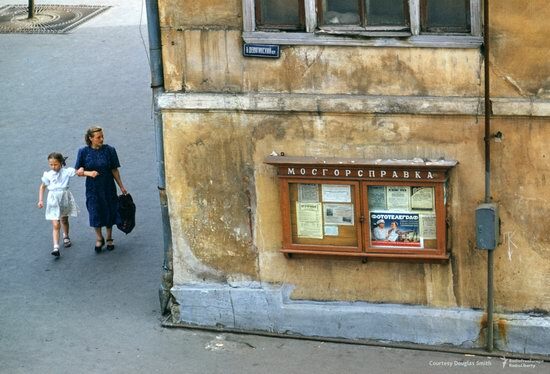 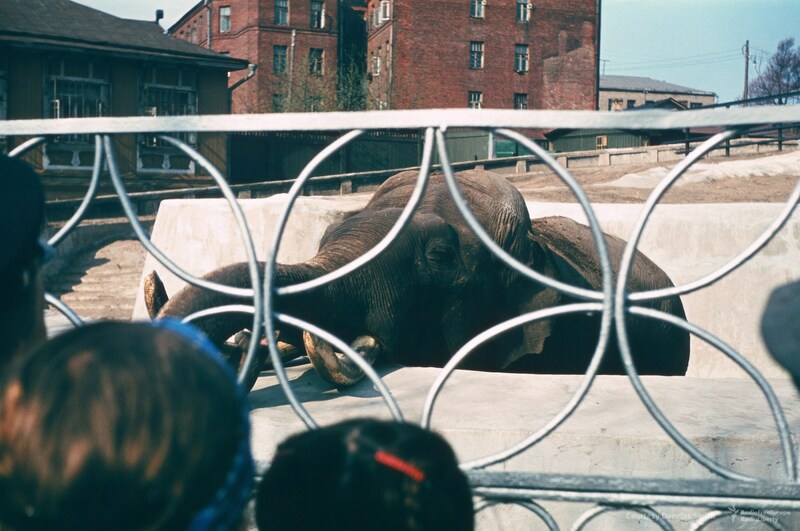 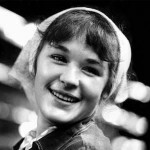 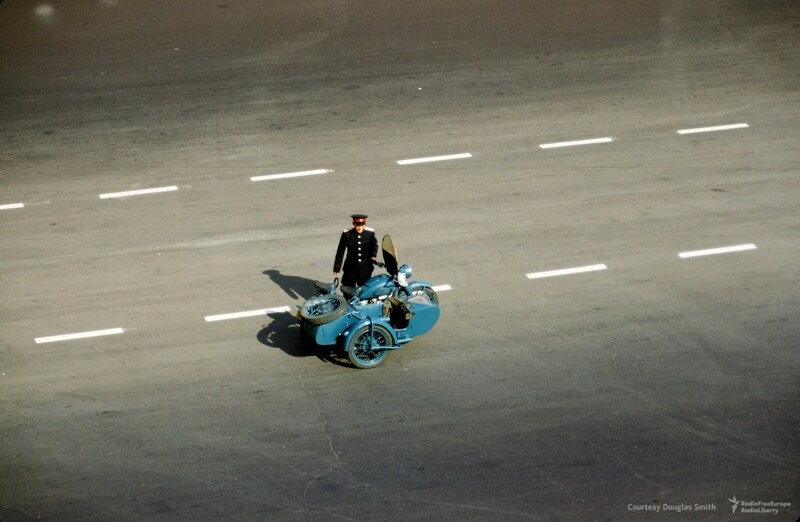 Manhoff, being a gifted photographer, shot hundreds of scenes from everyday Soviet life – both in Moscow and in other regions of the USSR. 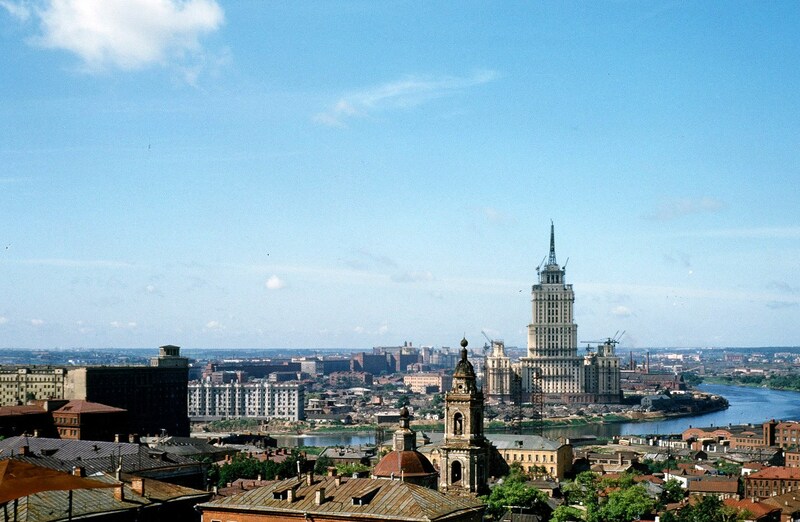 Construction of the hotel “Ukraina” from the roof of the U.S. Embassy on Novinsky Boulevard. 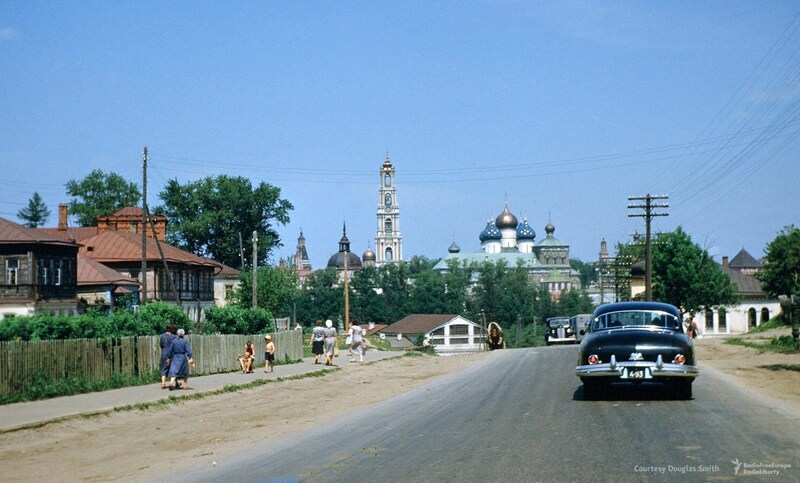 On the left you can see the Church of the Nine Martyrs of Cyzicus (1954). 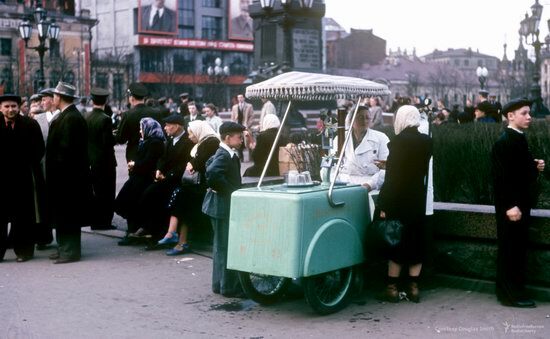 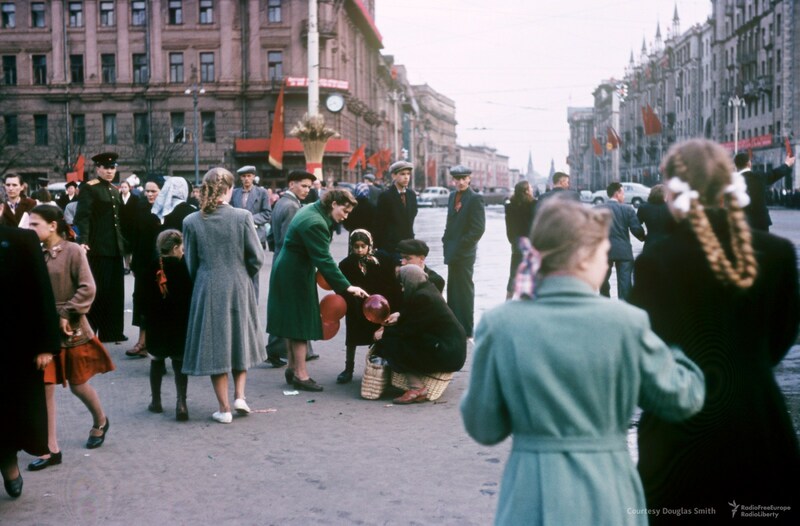 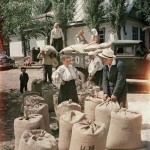 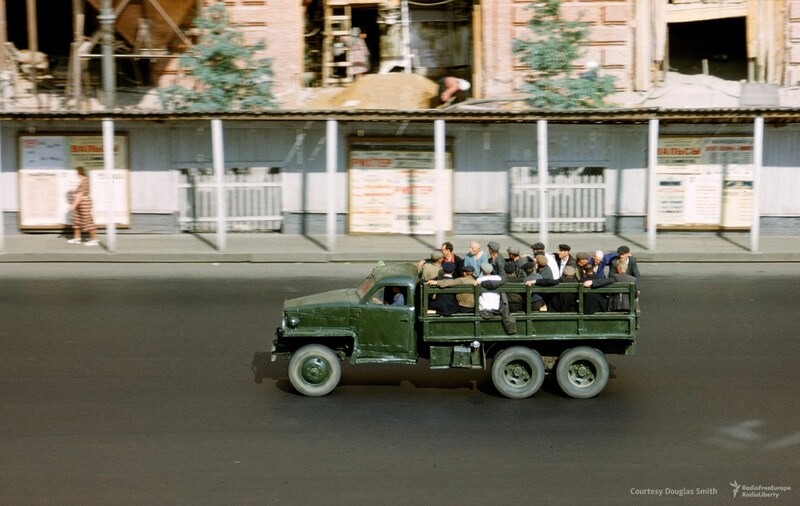 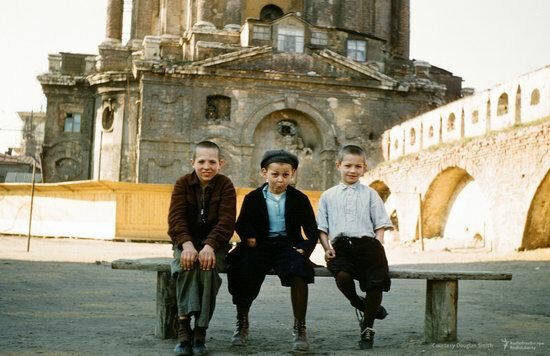 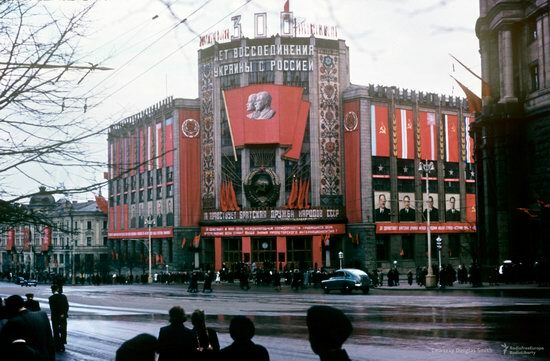 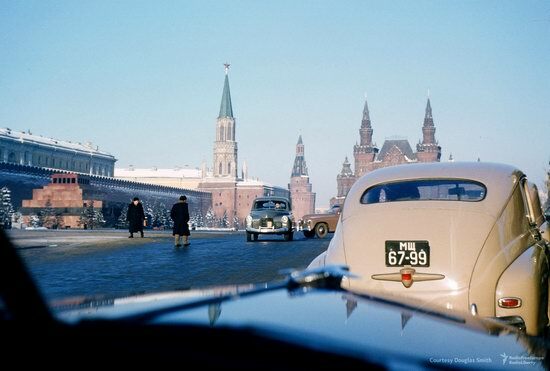 After the accusations of espionage, he left the country with hundreds of color slides and negatives taken during his time in the USSR. 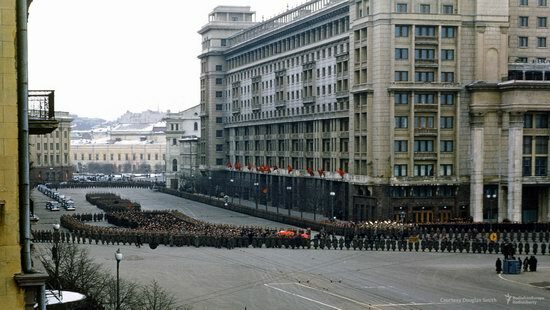 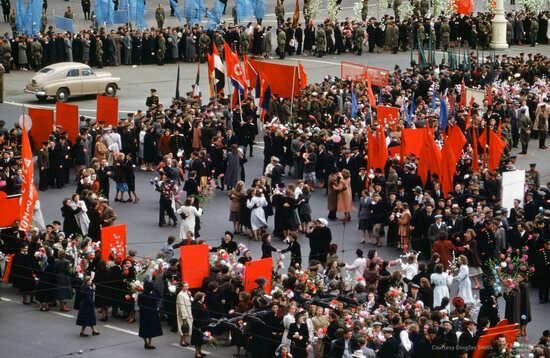 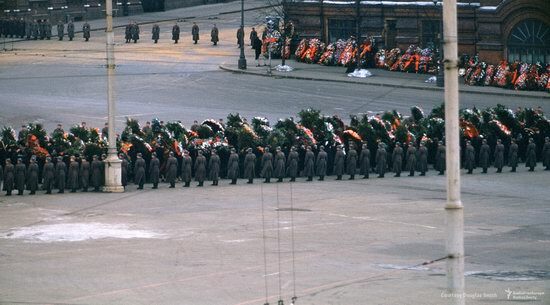 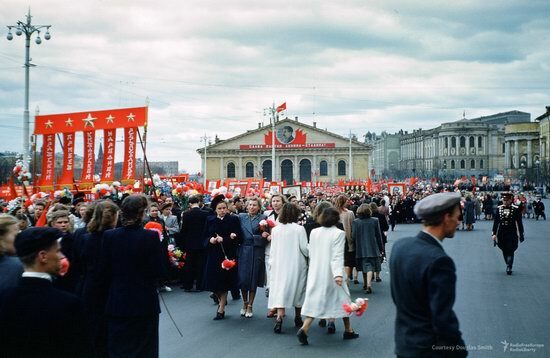 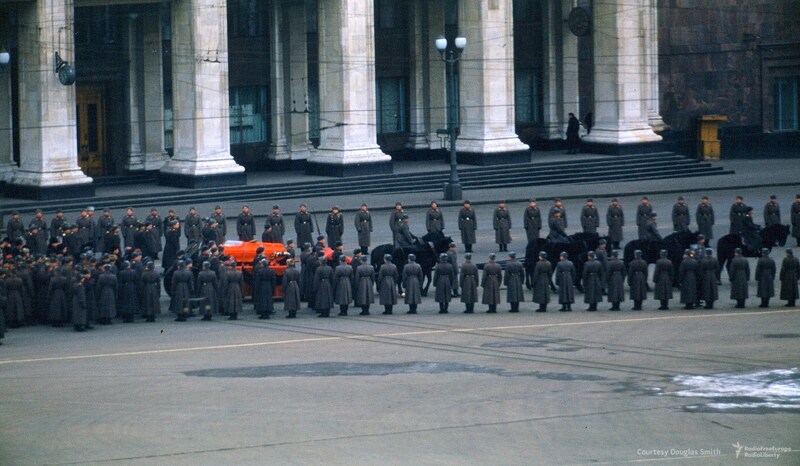 Among these materials was the shooting of Stalin’s funeral – one of the turning points in Soviet history. 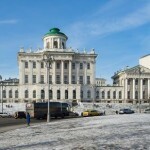 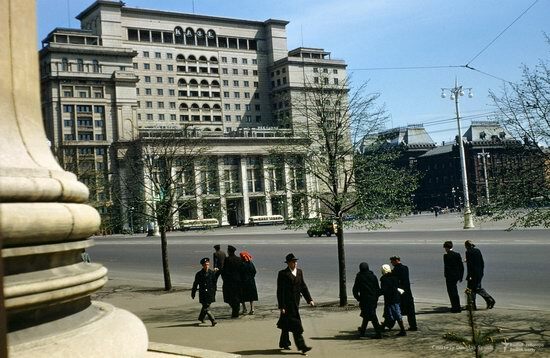 Hotel “Moskva” on Manezh Square. 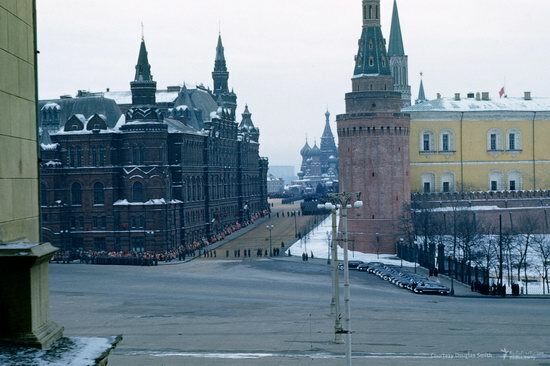 The Kremlin from the entrance to the U.S. Embassy. 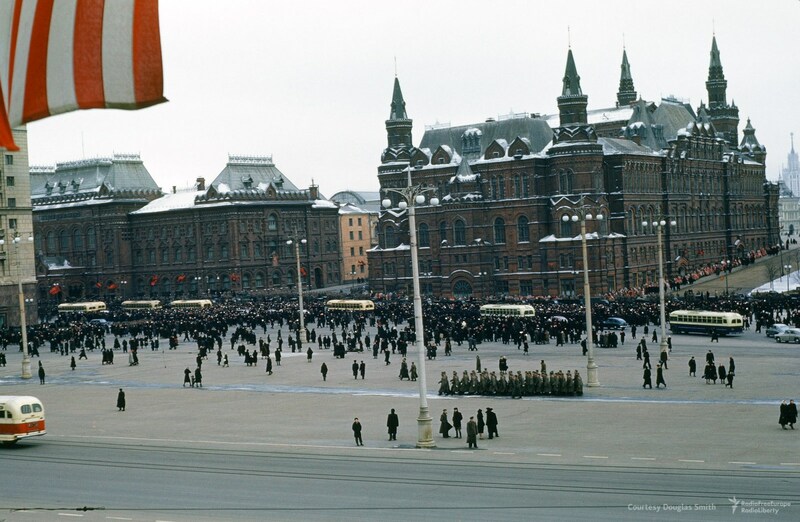 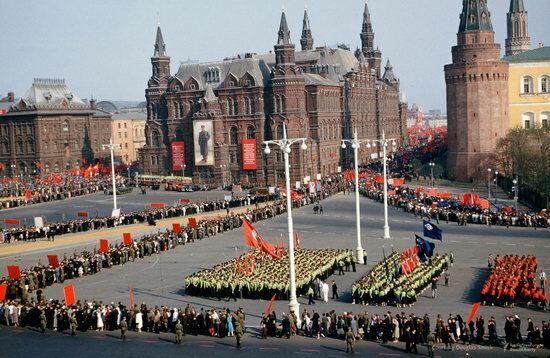 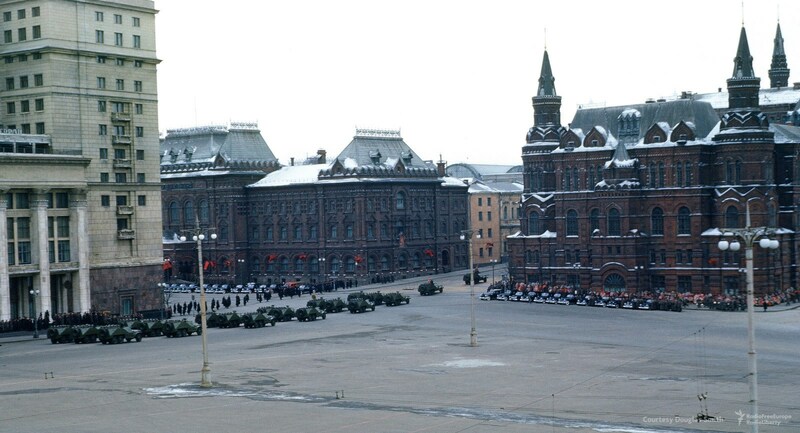 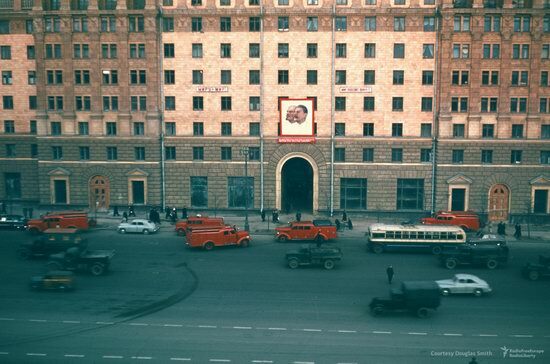 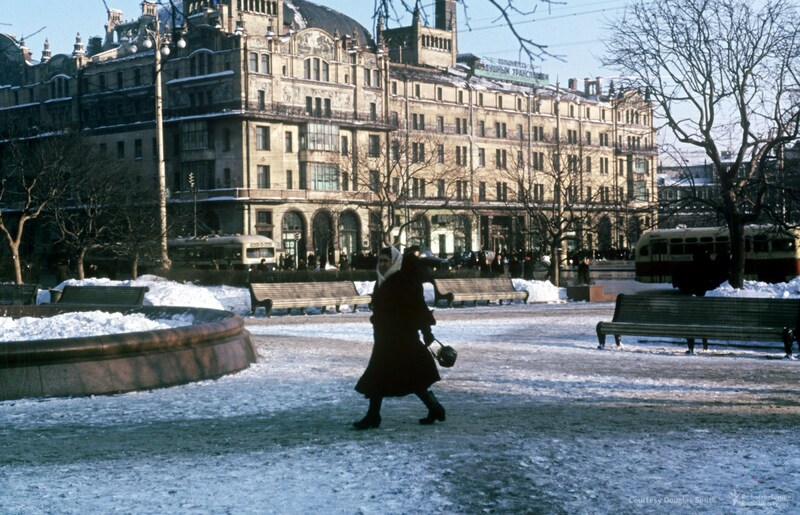 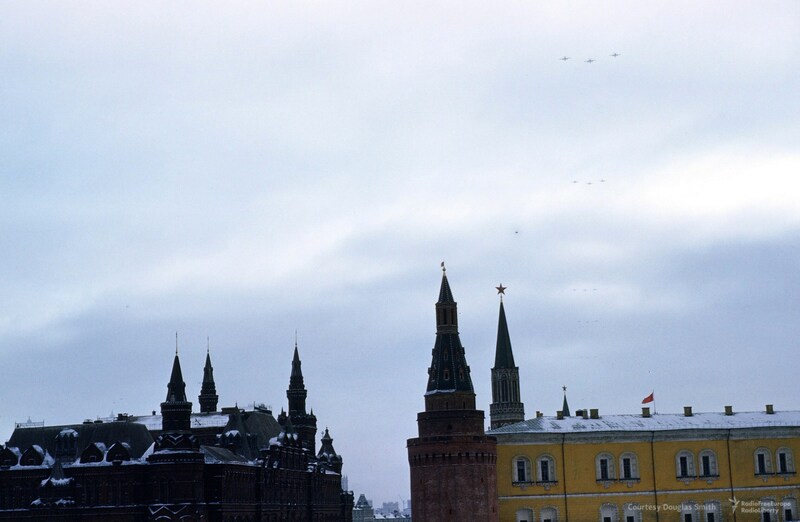 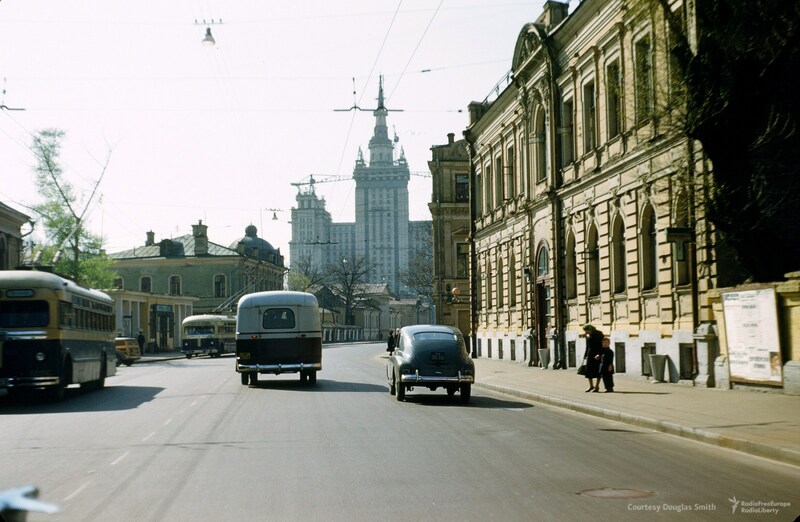 In 1953, Red Square was not yet closed to traffic. 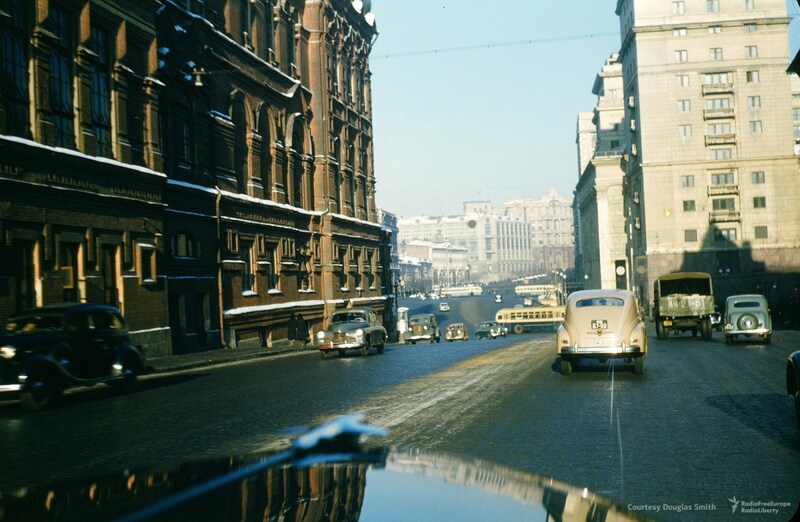 Approaching the intersection of Okhotny Ryad and Tverskaya Street. Movie theater “Khudozhestvenny” on Arbat Square. Driving up Bolshaya Nikitskaya Street. 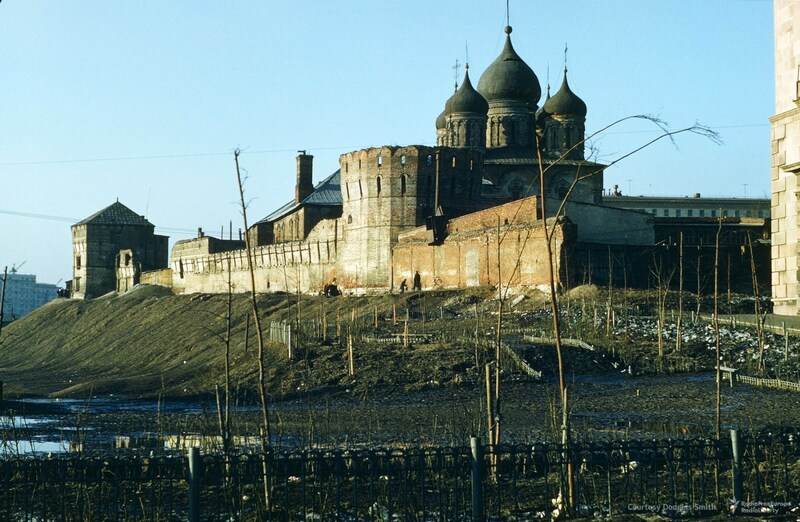 The Trinity Lavra of St. Sergius. The corner of Bolshoi Devyatinsky Pereulok and Novinsky Boulevard. 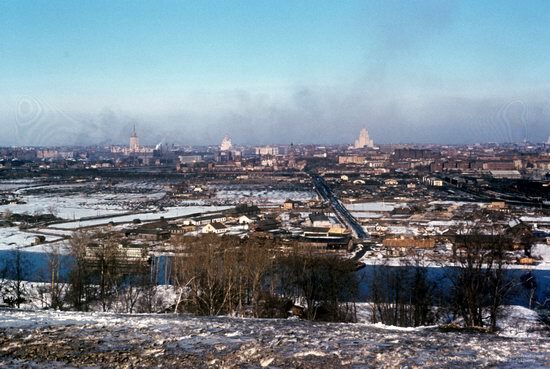 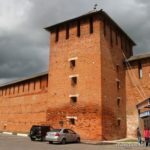 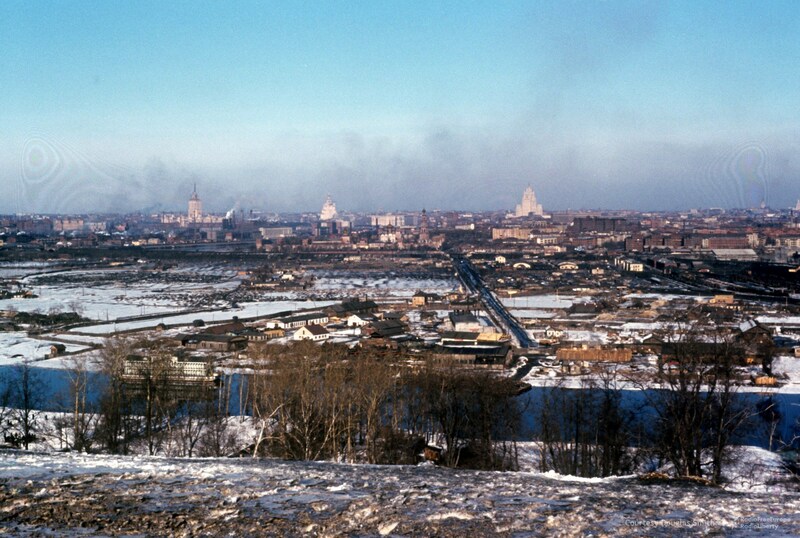 The view from Vorobyovy Gory. 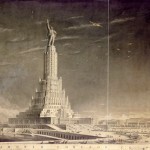 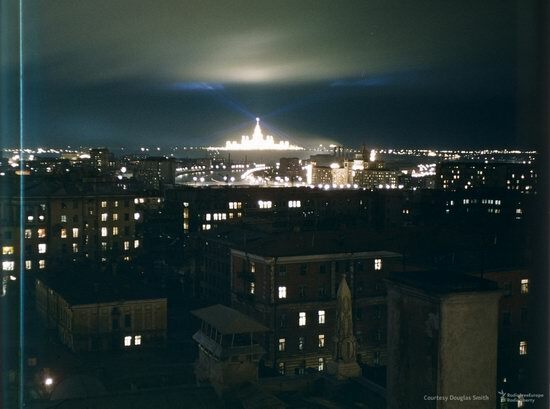 The newly built main building of Moscow University in the night illumination. 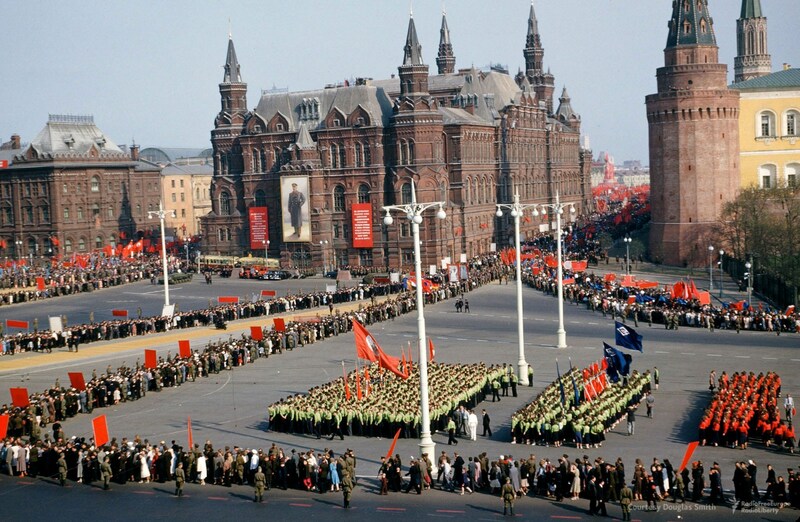 Celebration at Manezhnaya (Manege) Square. The building of the Central Telegraph. 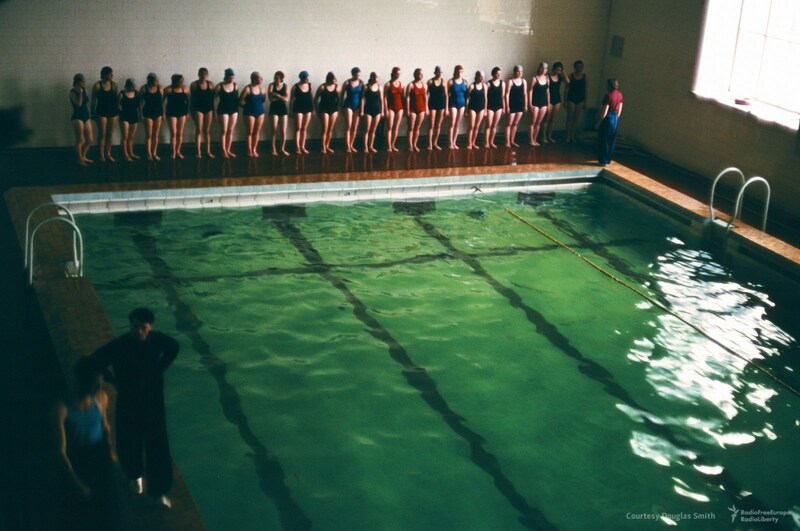 In the pool of Moscow State University. 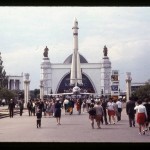 Metro station “Park of Culture”.